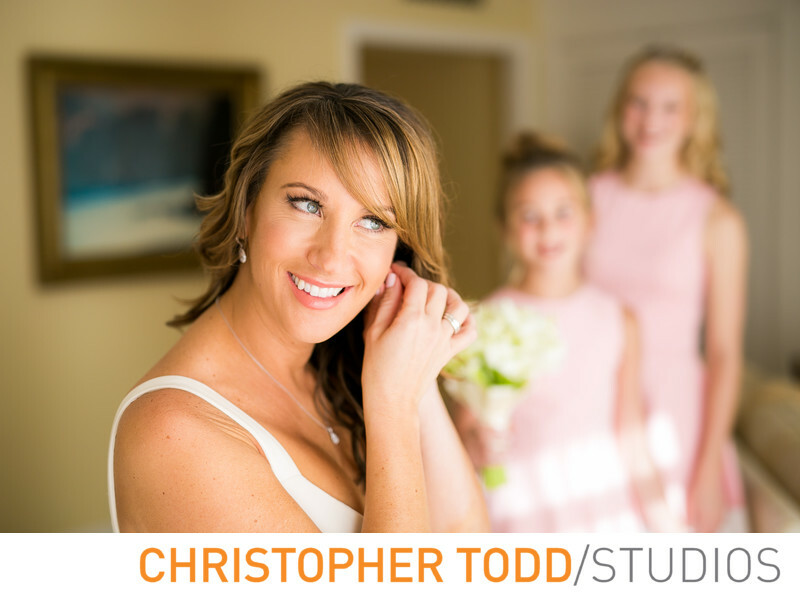 Before the ceremony I photographed the bride getting ready in her bridal suite at Montage Laguna Beach. I love how her daughters are in the background looking at her getting her jewelery on before she says I do. 1/400; f/1.8; ISO 200; 50.0 mm.